Our Vision is to build a lasting, sustainable legacy of social entertainment & hospitality Our Mission is to delight our guests’ senses through our food, drink and service experience. Hiro Takei and Rie Takei Akita, two of Nobuteru and Akiko’s three children, are building on their parents’ four decade legacy of delicious, authentic Japanese cuisine and excellent customer service…but for a new generation of working professionals who want the complete experience of great food, drink, hospitality, and atmosphere, while still enjoying premium value. Hiro and Rie’s concept for Odori-ko was built on their passion to create something new and different…a place where people would come for a delicious meal, but stay – and return – for the experience. The siblings brought different personalities, skill sets and ideas to the table, and with their mission of providing their patrons with a place to “escape, engage, and indulge,” the new Odori-ko was born. 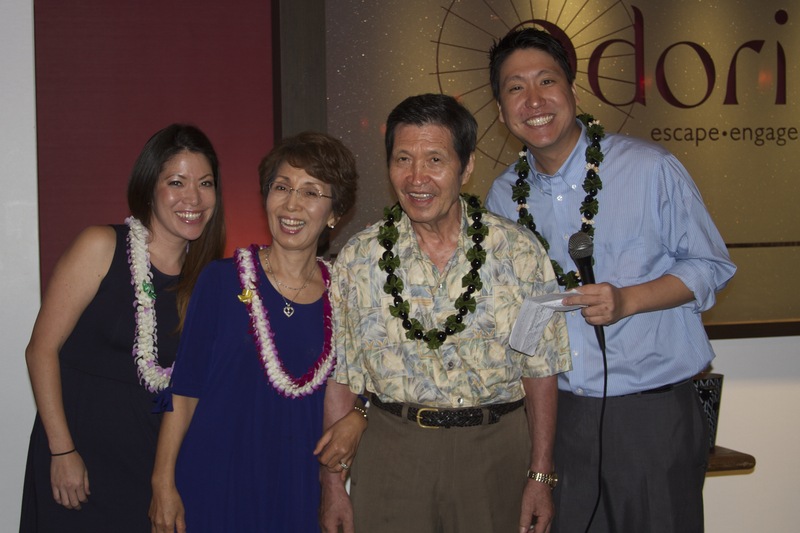 An attorney, Hiro decided to come home after law school on the mainland and after 4 years practicing law here in Hawaii, has devoted himself full-time to opening Odori-ko with his sister. While the success of his parents’ restaurants was intimidating at times, the challenge only made him more determined to succeed. A newlywed, Rie is like her mother in many ways…beautiful, charming, smart, and hard-working. Running a restaurant is second nature to Rie after being brought up in the business but, like her brother, she wanted to build something that would work in today’s marketplace. So, with a definite nod to their parents’ tradition of excellence, Hiro and Rie are ready to stand on their own and take the Takei family business into the next generation. Hiro and Rie Takei’s story begins with their father and his journey to Hawaii from Sendai, Japan in 1964. On an island filled with opportunity, Nobuteru was determined to make his dreams come true. By 1972 he and his beautiful wife, Akiko, were able to open Maiko in the Ilikai Hotel. Its success allowed them to establish other popular restaurants including the original Odoriko at King’s Village in Waikiki. Throughout the years, many great chefs, restaurant owners and managers have come from their restaurants building dreams of their own. Hiro and Rie are proud to build on their parent’s legacy with their modern rebirth of Odoriko for a new generation. Now branded Odori-ko, they have created a welcoming atmosphere that immerses the community in local art, music, and outstanding cuisine. Hiro and Rie look forward to meeting and enjoying many more friends at their new location.